The potentiometer reads an analog value from the hardware port and outputs a normalized result in the range from 0.0 to 1.0, depending on the angle of the knob. It brings an easy solution to control LEDs, servos, and system coefficients. Let’s control the brightness of the LED with a potentiometer. 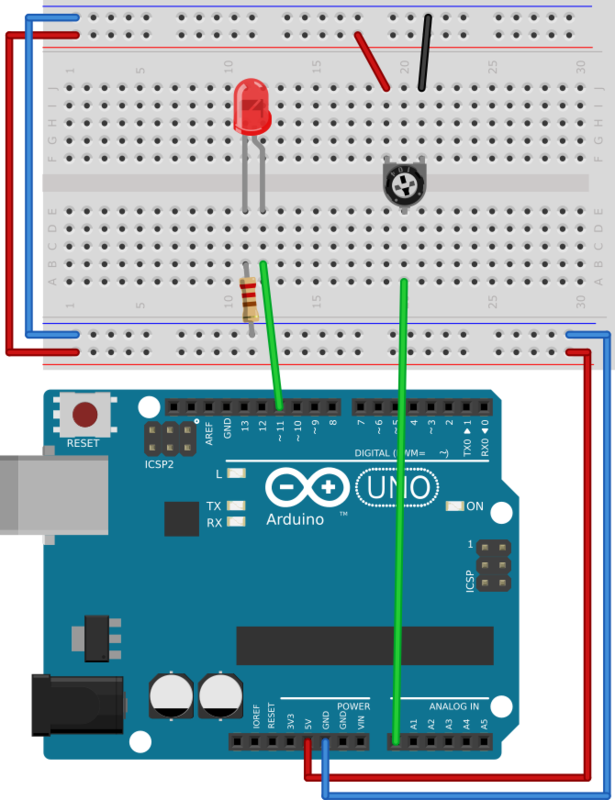 Connect a potentiometer to the Arduino board according to the scheme. 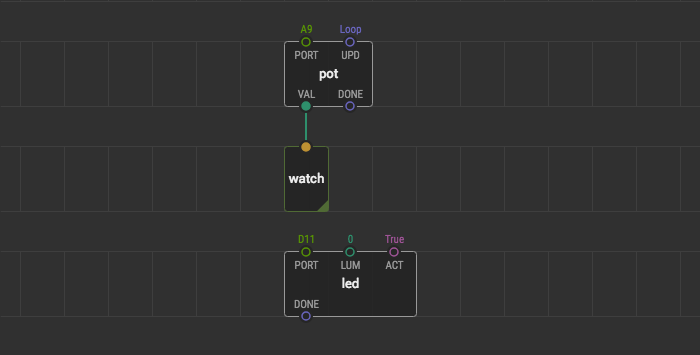 Set the PORT pin value on the pot node to A0 because it’s connected to the analog board port A0. Link the pot node VAL pin to the LUM pin on the led node. Rotate the knob and see how the LED reacts to it. Cool, eh?